Local Bail Bondsman New York City: Can They Arrest You? Much is made about what a local bail bondsman can and cannot do legally. Sure, a bail bonds service works a great deal with the courthouse. But is it considered a government entity? Taking it a step further, can a bondsman arrest you? We will answer those questions and more in this post. It’s a good idea to review what a bail bond is before going any further. Also known as a surety bond, a bail bond is guaranteed by a state licensed bondsman who is backed by an insurance company. The agent guarantees the court full payment of the bond if you fail to appear for scheduled appearances. It sounds simple enough, right? Here’s where things can get complicated, though. If a defendant fails to appear in court, the bondsman is allowed to bring the fugitive to the courthouse. Not only that, but they also have the right to pursue the fugitive into any dwelling to make the arrest. We’re not saying that you should expect a local bail bondsman to be knocking on your door should you skip out on court. That said, because bondsmen are not government agents, they don’t have to seek out a warrant and may detain the defendant for as long as possible to get them to the authorities. Keep in mind that the bail bond agent must keep all paperwork identifying them as authorized to seek out and detain the fugitive. Another option is for the bondsman to get in touch with a bounty hunter. 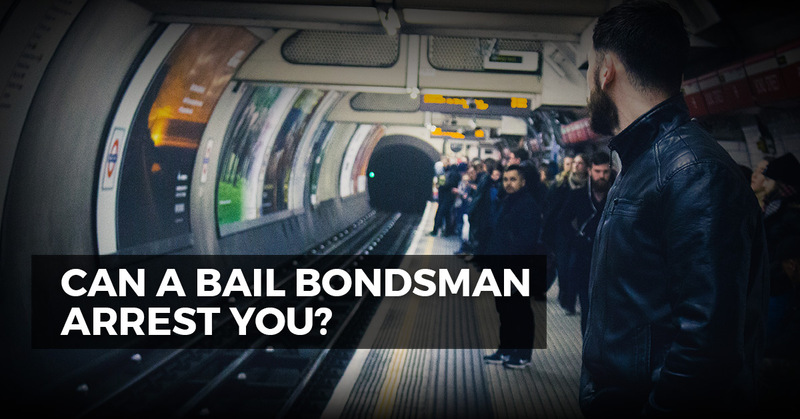 We invite you to learn more about the difference between a bail bondsman and a bounty hunter. With over 50 years of industry experience, we’ve seen plenty of cases where defendants skip out on court appearances. This is the absolute worst thing a defendant can do. For one thing, they will wind up facing more serious legal ramifications. Plus, they make the choice of burning bridges with loved ones who worked hard getting them out of jail in the first place. If we could give every defendant a piece of advice, it would be to get to court. We don’t want to see a relative or close friend be out thousands of dollars just because you chose to skip an appearance. Our team doesn’t want to have to get the authorities involved in coming to your residence, either. At ABC Bail Bonds, our focus is on helping you. We have several bondsmen on staff who are licensed and thoroughly trained. Rest assured that we will treat your loved one’s case with the utmost discretion and confidentiality. We strive to get clients out of jail as quickly as possible. Unlike other bail bonds services, though, the team at ABC works to ensure that you understand the process and what to expect. Creative and flexible, our agents do whatever possible to get your family through a difficult situation. If you’re in need of an emergency bail bond, look no further than ABC. Call now to get started.